You probably think I am crazy. It’s okay, I get that a lot. 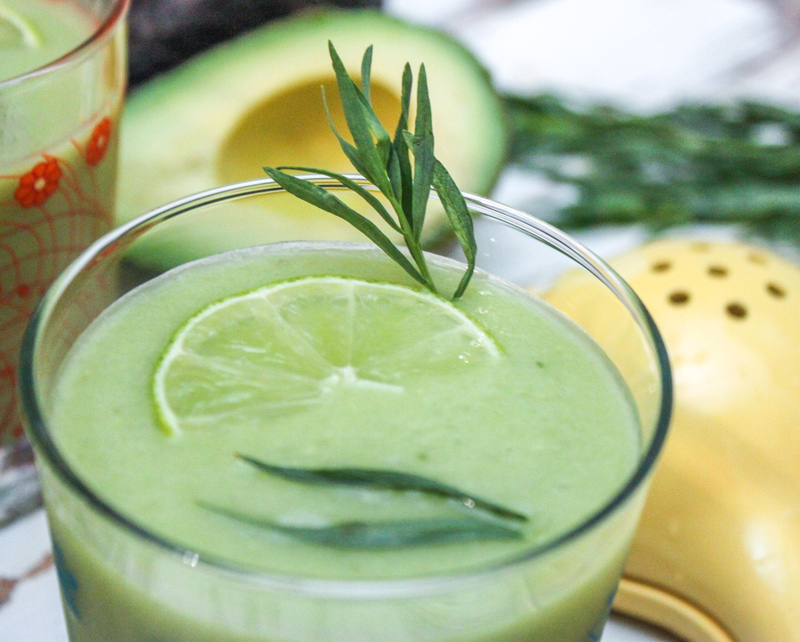 And I probably am but you should try this Frozen Avocado Margarita, regardless. 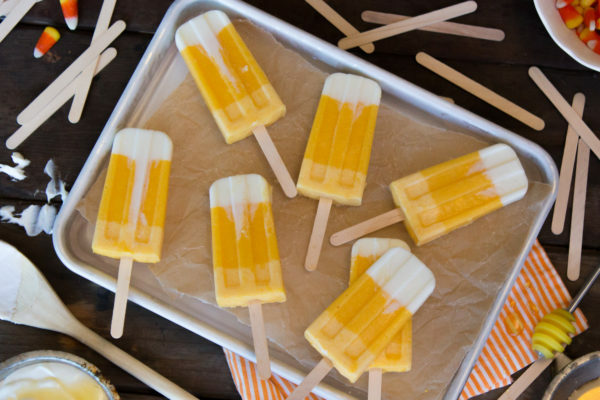 Slightly sweet, crisp, and bursting with citrus…this drink is tasty and super refreshing. The savoriness of the tarragon just plays so well with the avocado. Triple Sec and a splash of agave nectar make it taste like anything but guacamole, so don’t worry. 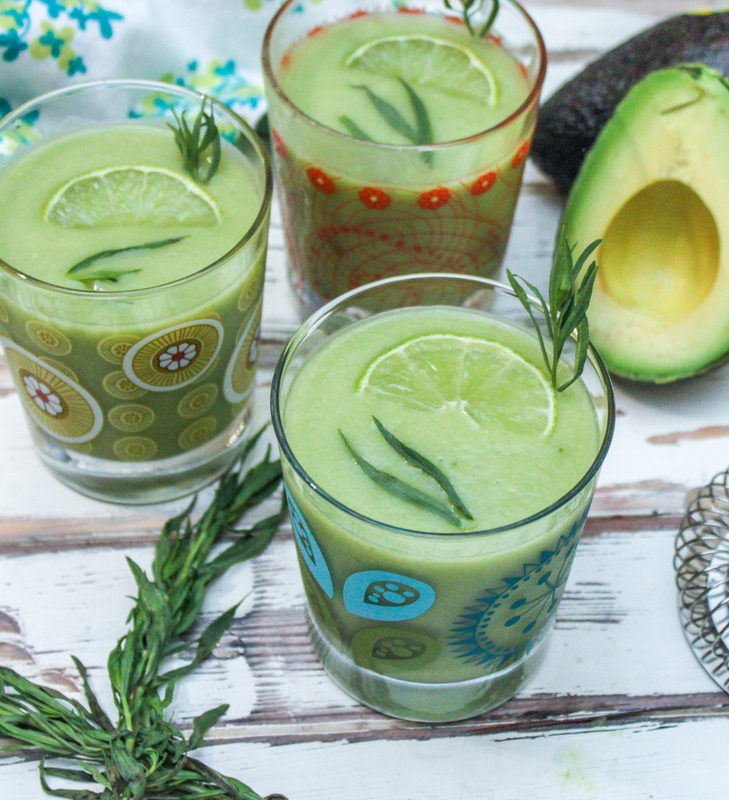 If you love avos and margaritas, this is the drink for you! Add the 1/4 cup tarragon and two tablespoons of the tequila to a cocktail mixer and muddle the herb. 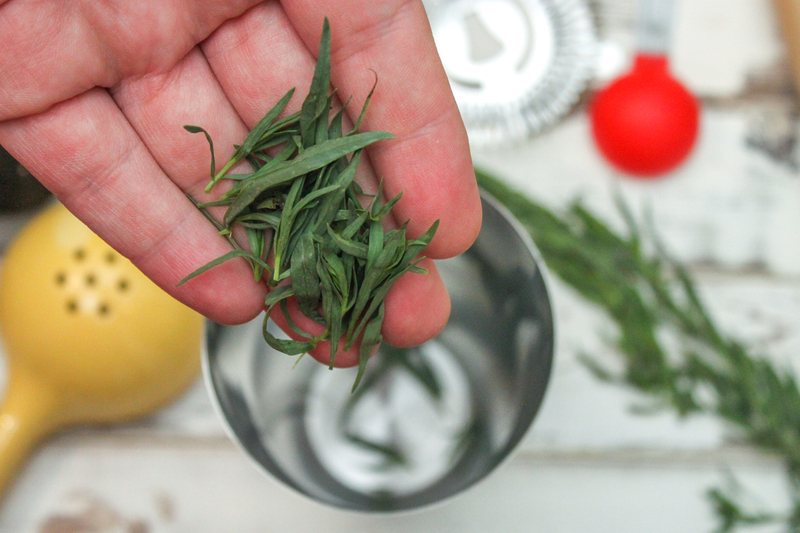 This will unleash the savory and bright flavors found in the tarragon. Remember, you don't want to bruise the herb, you just want to release the essential oils so don't go all Mike Tyson on it. Once you have muddled it, add the remaining tequila and the tablespoon of agave nectar to the shaker, setting aside to let the flavors meld and the sugar dissolve. Slice and pit the avocado. Then cut it into small cubes and add it to the blender. 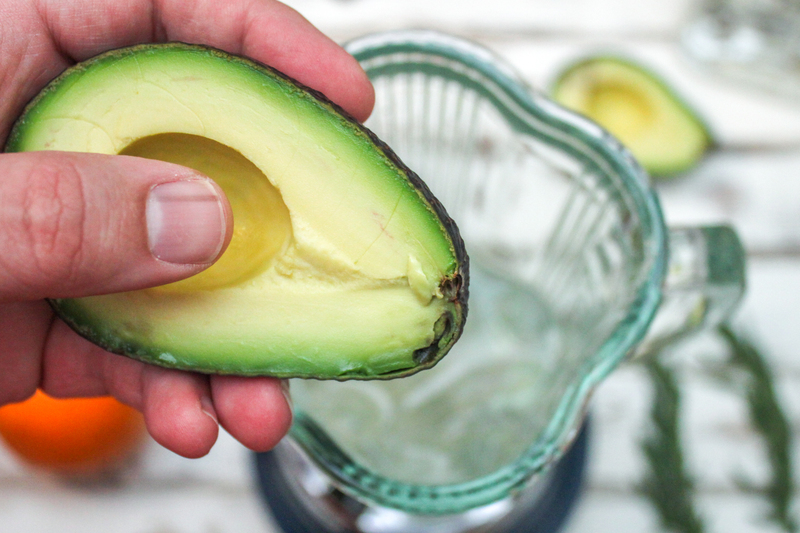 Watch my video on How to Pit an Avocado if you are unsure or worried about cutting yourself. 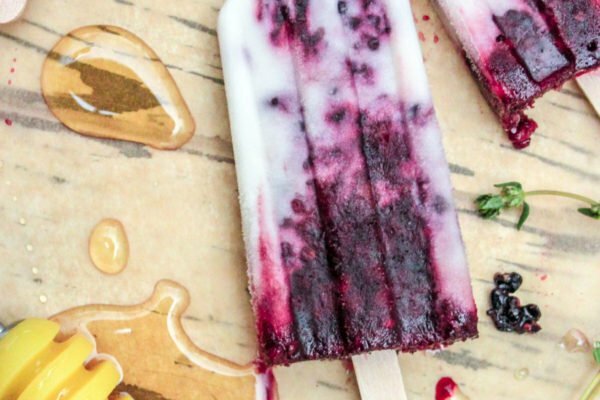 This method is the best way to not waste any of that tasty tasty fruit. 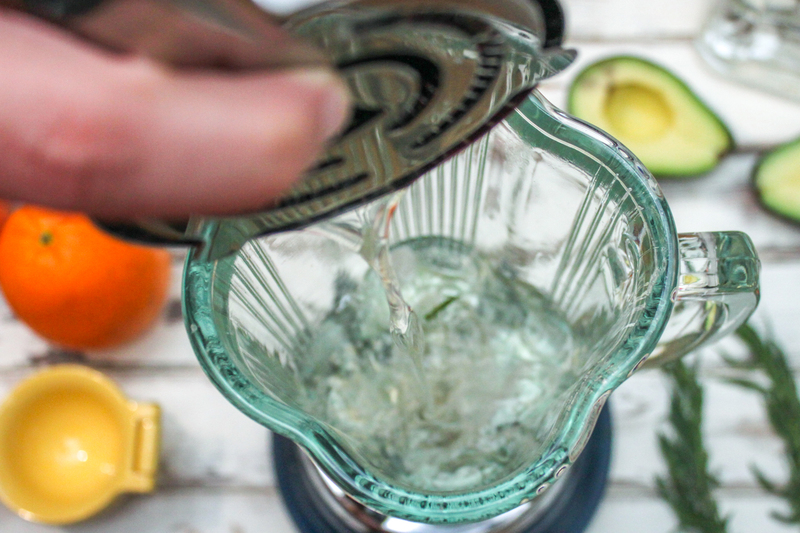 NOTE: NOTE: If you are drinking alone (#notjudging) then you'll only need half an avo, so watch my video on How to Keep an Avocado Fresh for 1 Week. Add the two cups of ice, two limes juiced, and 1/2 cup of Triple Sec to the blender. Add the infused tequila, straining out the fresh tarragon leaves. Rim your margarita glasses (that sounds dirty) with a combo of sugar and salt, if you want your drink dressed. And serve the Avocado Margarita with a slice of lime and a sprig of tarragon.